Yesterday we drove to pick up our CSA basket. 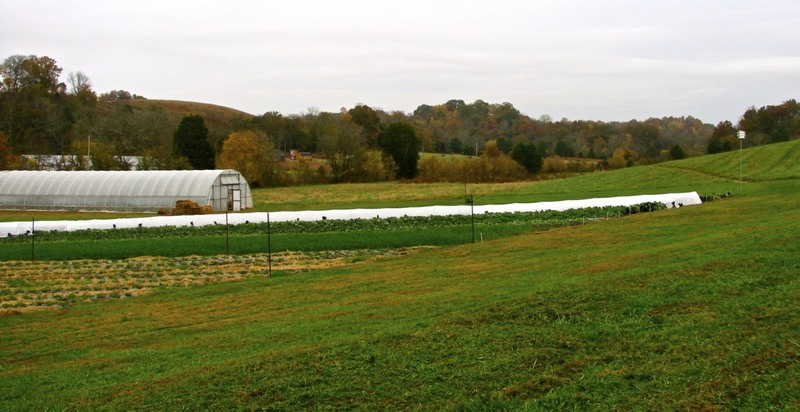 Our Winter CSA is from Bountiful Blessings Farm and they have been doing what they do for 7 years now. I have been so impressed. Both by their set-up and farm layout, which is absolutely gorgeous! But also by who they are as people and the gentle care and respect they show each other, their customer’s and the land they manage. There is such a sense of peace and beauty. I love visiting there just to pick up our veggies even though it is a 45 minute drive one way for us. 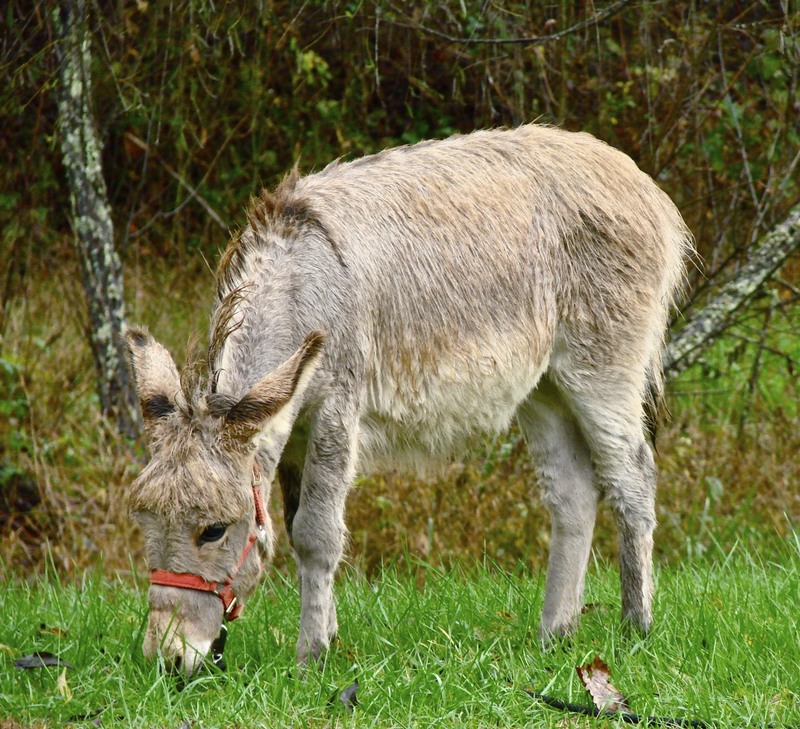 Little Donkey on the CSA Farm. So adorable! What has impressed me more than anything else though is the produce. I remember seeing one of their fields freshly tilled and wished I could run my fingers through the rich dark soil. They have obviously worked very hard at providing their soil with excellent nutrients and it shows in the uncharacteristic richness of color. But even that did not prepare me for how gorgeous, luscious, and amazingly good tasting vegetables they grow. I took pictures of most of what came in our box this week. It seemed appropriate that I should write about bountiful good food that I am so very, VERY grateful for the day before Thanksgiving Day. This huge head of cabbage was converted into 3 quarts of cultured SaurKraut last night. Huge bunch of Bok Choy. Never seen it this big before! The large clump of Sage and Winter Squash came from the CSA. The pumpkins I hoarded from a friend’s fall wedding decorations. Yams. Sooo sweet and delicate tasting. Today I am thankful for the people who work so hard to provide nutrient rich, chemical free, incredible tasting vegetables to help feed and nourishing their communities. I am thankful for the family that provides our raw milk. They live simple lives and get up early every single day to milk a cow and care for her needs and then share from that bounty so others can be nourished with safe, raw milk. Thank you Farmer’s and Traditional Food Artisan’s everywhere who are working so very, very hard and dealing with inordinate hardships and difficulties to provide people like me with truly good food. Thank you for taking risks and dealing with too little time, too few resources, too little money, and at times a Government that makes it difficult to impossible for you to do what you do better than any large corporation ever could. Small scale Farmers are hero’s. So to for you my Food and Farm Hero’s everywhere, a heart-felt Thank You. May God Bless your farms and families as you continue to the good work you have started. Yum, that all looks amazing! I love bok choy. The yams are intriguing. Ok that does it, I’m doing a CSA next spring! Have been reluctant only because it’s 30 mins away and requires a regular time of pitching in on the farm ( in theory a fabulous idea, in practice, another thing to squeeze into the schedule). But I will *make* the time, doggone it! Using bok choy as celery is a great idea– never thought of that. I don’t think I’ve ever even had it raw, actually!